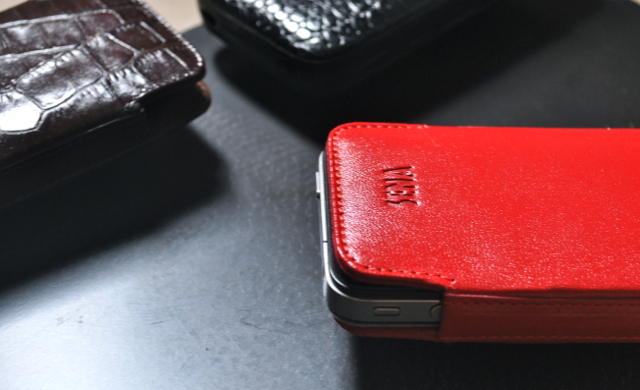 We have reviewed a variety of Sena cases in the past such as the Elega Pouch for iPhone 3G/3GS, the Argyle Pattern Case and the Ultraslim Leather Case for iPhone 4/4S, all of which feature the finest quality handcrafted European leather. 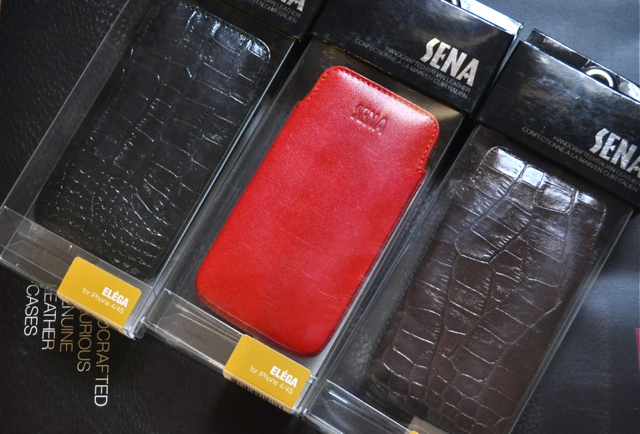 Once again, the same level of craftsmanship has been showcased in Sena’s newest line of Elega Cases for iPhone 4/4S. Check out our hands on review after the break. 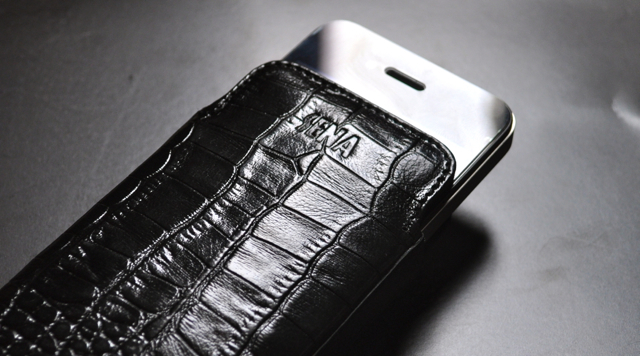 Shipped in simple transparent boxes, Elega cases for iPhone 4/4S are offered in a variety of solid colors in classic and croco leather. 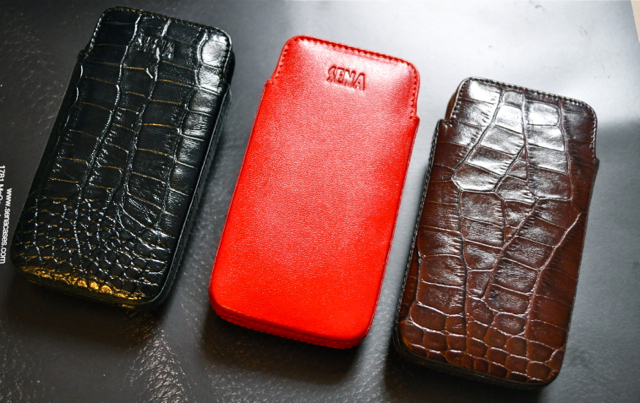 We got these in Classic Red, Croco Black and Croco Brown. 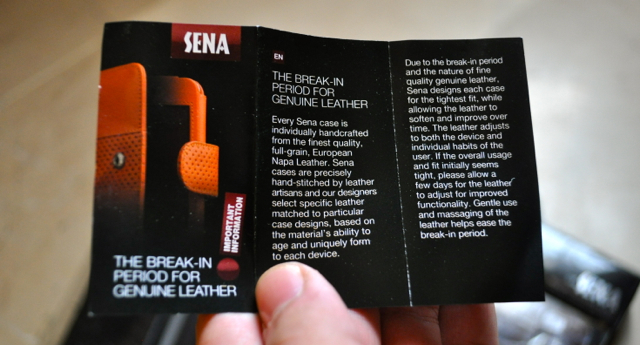 Opening up the box reveals an Elega leather case and a small leaflet that explains the “break-in” period for Genuine leather, describing how the tighter fit of leather pouch will soften and improve over time. 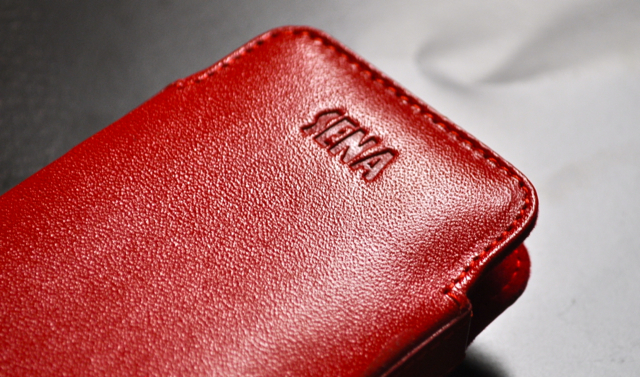 Like every other Sena case, the Elega cases are handcrafted from the finest Italian Napa leather with strong attention to detail. The leather sure does look amazing in person. It feels great in your hands and even smells really nice. 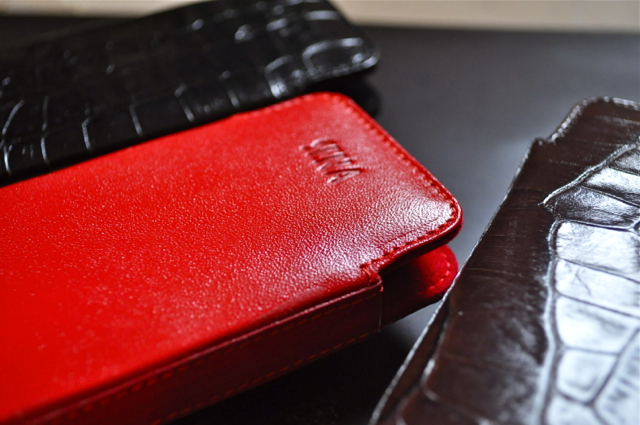 While the smooth Red colored leather feels quite pleasing to touch, the crocodile texture of Black and Brown cases give them the look of a high-end leather product. 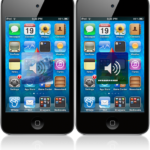 While the cases are all very lightweight, they provide excellent drop protection with their shock-absorbent padding. I actually did a drop test on this one from around 5 feet, because I was pretty sure this thing is well cushioned to protect my precious iPhone. 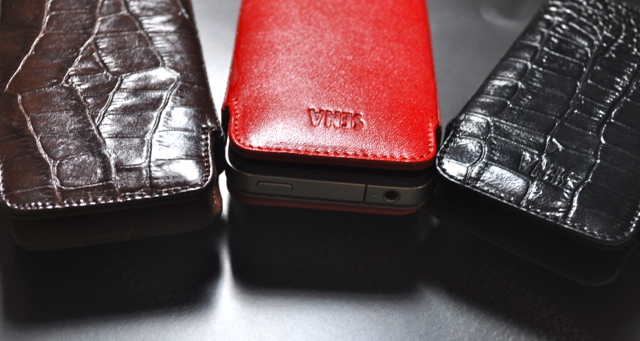 The snug fit of the iPhone ensures you get the maximum protection out of these leather pouches. At the back, there’s a rotating belt-clip which is not detachable. I really wish I could remove the belt-clip since I never use it and it adds a tad bit of extra bulk. More traditional users will however appreciate the rotating clip which also sits nicely on the belt and does not bulge out like some cheap leather pouches. At the bottom of the case, there are two precisely cut speaker holes which make sure that every sound / ring comes through nicely. 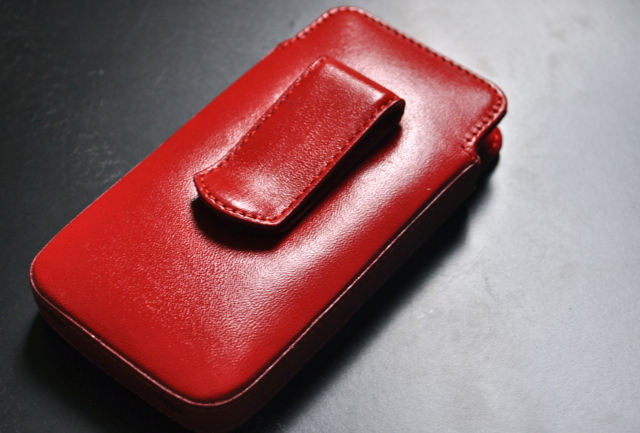 The interior of the cases is lined by soft velvet to protect from any scratches. 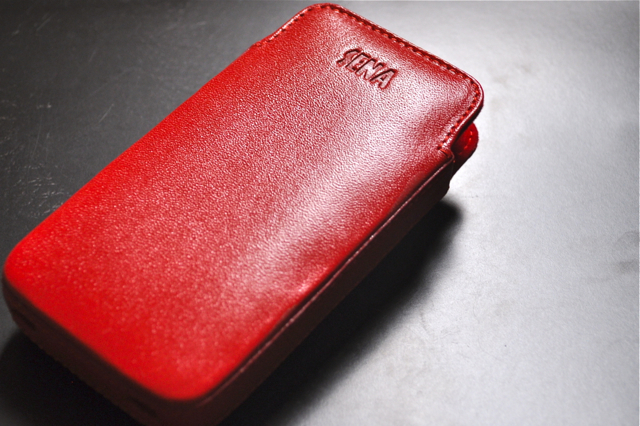 For those wondering how the Elega cases look like while holding an iPhone 4/4S inside, check out the following shots. 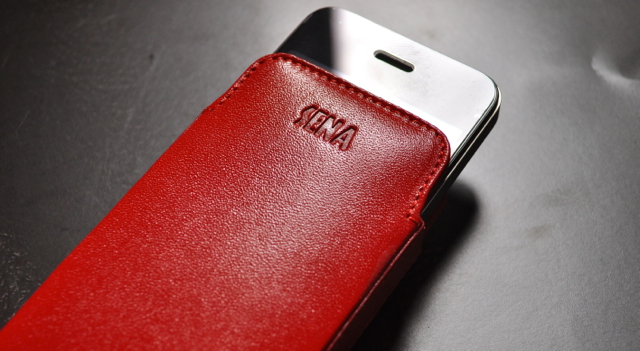 There is everything to love and not much to hate about these extremely well made Elega iPhone 4/4S cases. 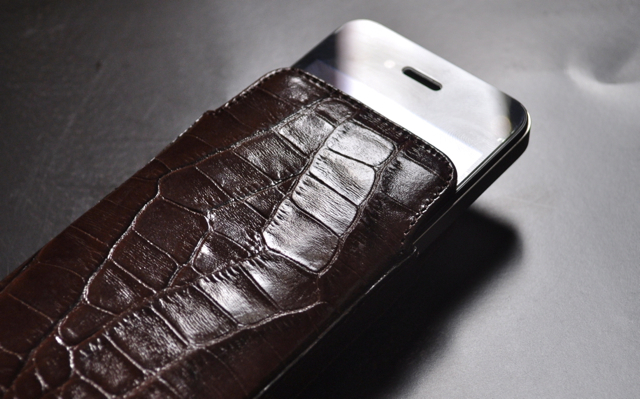 Though I strongly wish those belt-clips were somehow detachable, these cases offer maximum protection with absolute beauty that makes them an appealing choice for a traditional iPhone user.